In this tutorial we are going to use Nmap in Kali Linux to scan the network for live hosts. You can use the command ifconfig to determine which IP range you will be scanning for live hosts. We will be using a ping scan on a range of possible live hosts in our network. 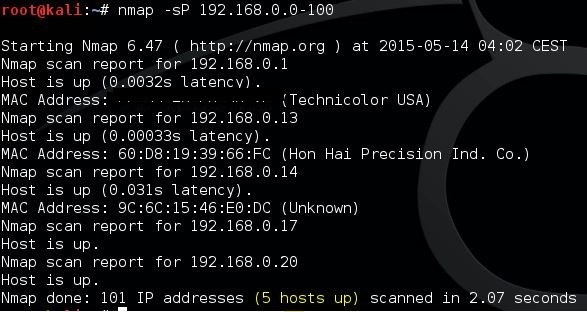 Nmap will be pinging each host in this range to determine whether the host is live or not. This will return all scanned hosts with their status.